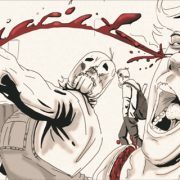 Horror artist and part-time comic book writer Steve McGinnis has unleashed the second volume of his page-and-panel slasher series Rise of the Harvester. Entitled Book Two: Con of the Dead, this edition is a quick 60 pages that feature our protagonist/antagonist Samuel Troyer, a.k.a. The Harvester—an immortal serial killer who’s once again returned to the scene of his origin story (occurring at the turn of the 20th century) in the tiny rural town of Brantwood. Here he sets his sights on a convention center wherein, coincidentally, a horror con is in full swing. Once inside, The Harvester begins brutally butchering a myriad of convention goers, all of whom are the embodiments of various geek-culture clichés and function as fodder for us to get our cathartic “slash on” alongside Mr. Harvester. It’s a lot of fun if not especially substantive. Meanwhile, McGinnis’s Dr. Loomis character and preeminent Harvester expert—Dr. Johnson—appears to believe that the world needs The Harvester and that his being on the loose maybe isn’t so bad. Visually, McGinnis takes a cinematic approach as evidenced by the dynamic compositions of his pages, from their illustrations to their layouts. There’s a thrilling kinetic illusion that his panels yield, and so far, it’s helped define his graphic novels as page-turners. If there ever was a literary analog to the proverbial Popcorn Flick, McGinnis’s books are it. Story-wise, McGinnis’s decision to forgo certain major narrative ingredients this volume—namely, failing to provide his story with a clearly defined protagonist and antagonist, and instead making The Harvester function as both—begs the question how sustainable this tale can be going forward (or any slasher story [re: the majority 1980s horror cinema]). At some point these major story mechanics, or lack thereof, will need to be addressed. But, as we’re only two books in, the light-weight, easily digestible thrill-ride approach continues to work quite well for now. 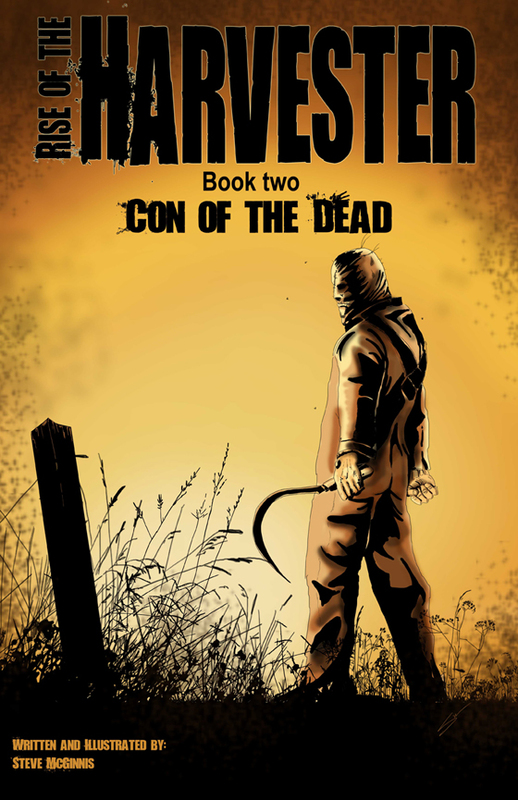 Rise of the Harvester Book Two: Con of the Dead is a gory good time. 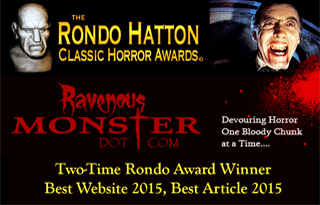 If you’re a gratuitous slasher fan like we are you really can’t go wrong. Just check your expectations at the splash page and remember that Steve McGinnis isn’t trying to win the Pulitzer here. Rise of the Harvester Book Two is available from Short, Scary Tales Publications.